In Turkey, one out of three men has a gun. 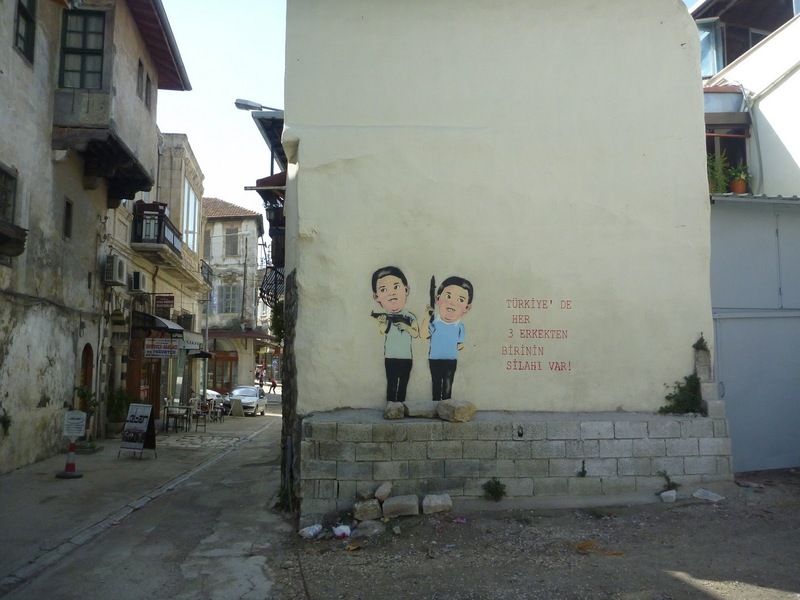 Above: Via Jenny Schmid, fresh Istanbul graffiti collaborative effort posted by Nalan Yirtmac. More Istanbul images on Geotypografika Flickr. This entry was posted by Erik Brandt on Tuesday, November 9th, 2010 at 10:24 PM	and is filed under Aktuell, Art, Free Radicals, Geotypografika, Illustration, International, Internet, News Links, Typografika.